Open the iPhone XS Max and you'll see just $443 worth of components. An estimate of the component costs for each iPhone XS Max shows that much less than half of the purchase price goes to producing the device. This is Apple’s most expensive phone ever — and likely its most profitable. The cost of storage went up considerably but Apple managed to save money by removing some 3D Touch components from the display. 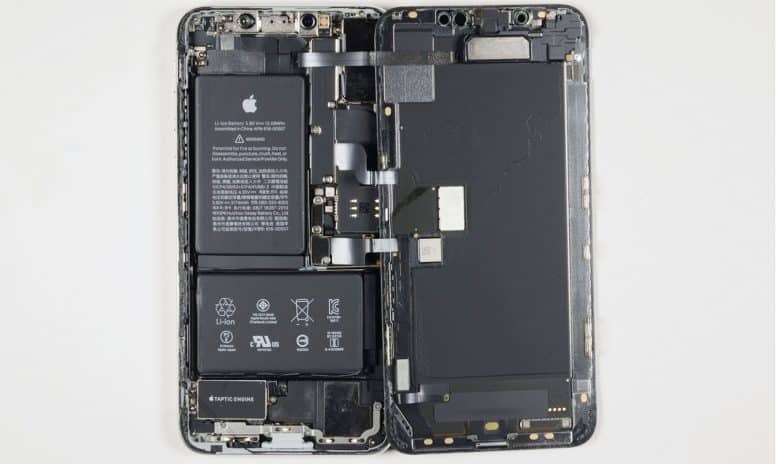 Analysis firm TechInsights did a teardown of an iPhone XS Max with 256GB of storage. That’s reportedly the most popular version of Apple’s best-selling new handset. As part of its teardown, TechInsights estimated the cost for each component. Its total is $443, as compared to the $1,249 price tag for the product. So just 35 percent of the purchase price goes to pay for the actual hardware. Of course, the remaining $806 isn’t pure profit. The bill of materials (BoM) doesn’t cover Apple’s employee salaries, advertising and other costs. Also, the BoM doesn’t include software, and iPhone and iPad sales must cover the cost of developing iOS and its bundled software. Still, Apple remains very profitable. The company enjoyed $11.5 billion in profit just last quarter. TechInsights compared the component costs of the iPhone XS Max and last year’s iPhone X. The newer model is larger, and has a price tag $100 higher, but its BoM is just $47.56 more. Many of the components cost about the same as last year’s model, even the screen. “The OLED display in the iPhone Xs Max is larger, increasing its cost,” the analysts said, “but that increase is tempered by the removal of some of the 3D Touch components that were previously found in the iPhone X.” As a result, this component cost only went from $77.27 to $80.50. One of the largest increases was in the 256GB of storage. TechInsights estimates this rose from $45.35 to $64.50.